Our last lust-worthy listing was a million-dollar colonial in East Milton — purely daydream territory. This week? We have an actual bargain on our hands. 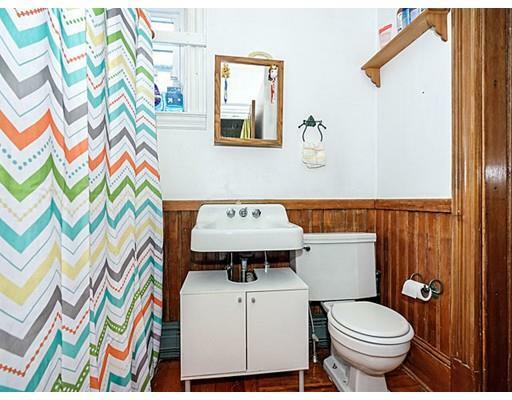 Real wood wainscoting, natural light — that’s a nice bathroom, bub. This place needs a bit of work, and that’s the only reason there’s a Doctor’s Row-area two-family — just a few blocks from the heart of Roslindale Square — on the market for less than $600K. What kind of work? The listing says it’s got an old electrical system — fuses, even, not circuits — but even if that means knob-and-tube wiring, that’s a $5,000-$10,000 upgrade, very doable. I swoon for breezy mud rooms. The most nebulous and troubling issue is that the back staircase needs to be rebuilt. That could mean a couple of days for a carpenter, or it could be a major structural issue — you’d want your inspector to take a good look at it, and maybe even hire a contractor to come to your inspection. Beautiful wood floors and trim blend with some outdated features (like a drop ceiling) that need to go. But there’s a lot to like here. 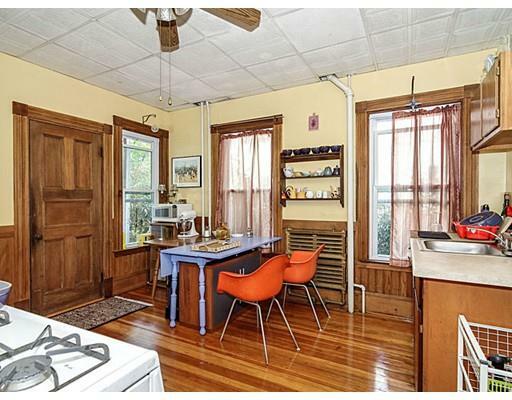 Forget, for a moment, the beautiful Queen Anne style and the cute interior decor. This location is amazing. Roslindale Square has some awesome restaurants and bars, adorable bakeries and shops, and a commuter rail station, too. Plus, it’s on the “nice” side of the tracks, near what’s known as Doctor’s Row, just south of the Arnold Arboretum. 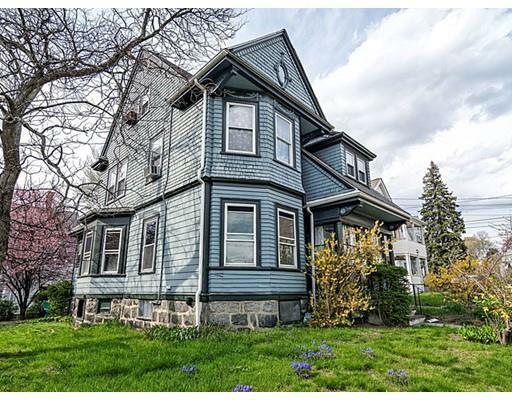 Address: 8 Walter St., Roslindale, Mass. 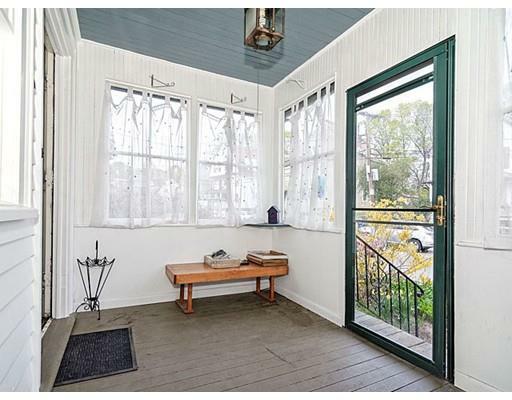 Verdict: For $579,000 plus about $25,000 in upgrades you could have a stately Queen Anne in one of Boston’s best residential locations, renting out the two-bedroom unit to pay for close to half your mortgage. I think that’s a huge score.